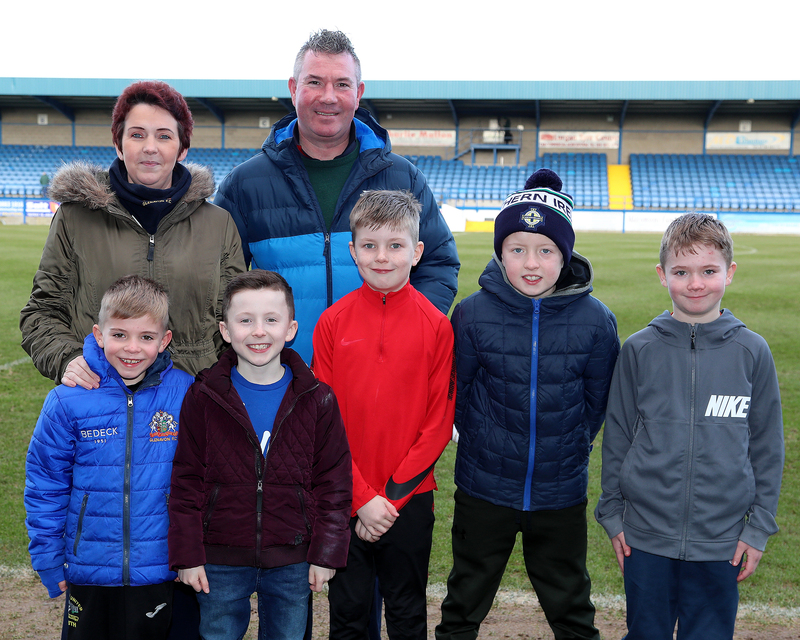 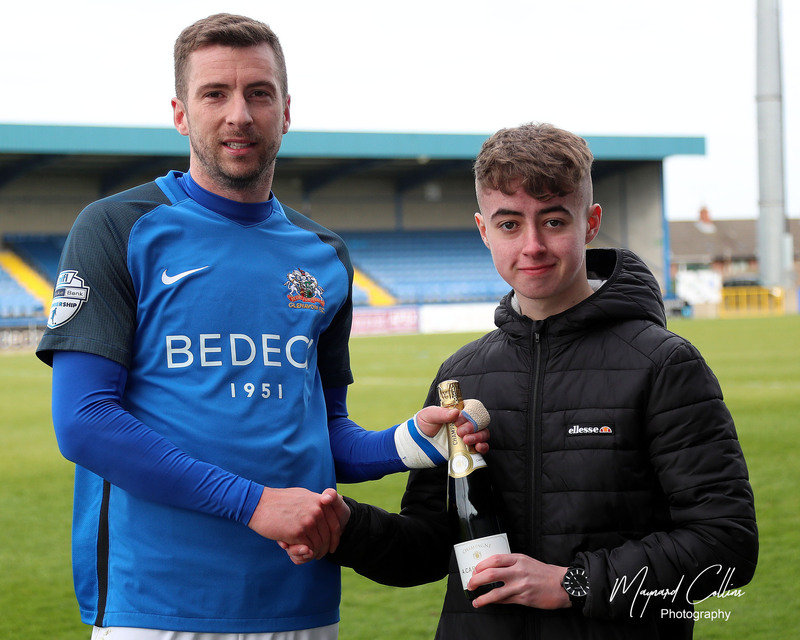 Many thanks to all our sponsors from Saturday’s Danske Bank Premiership game with Coleraine. 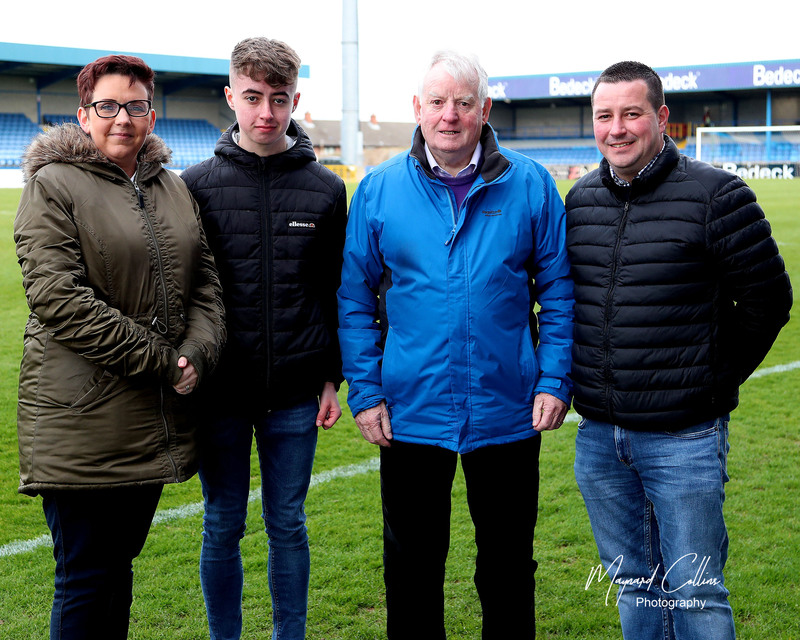 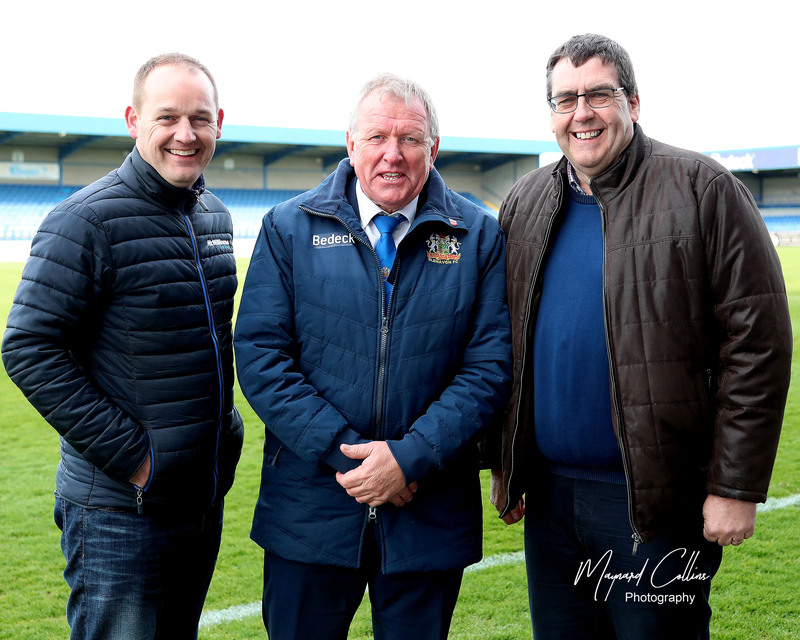 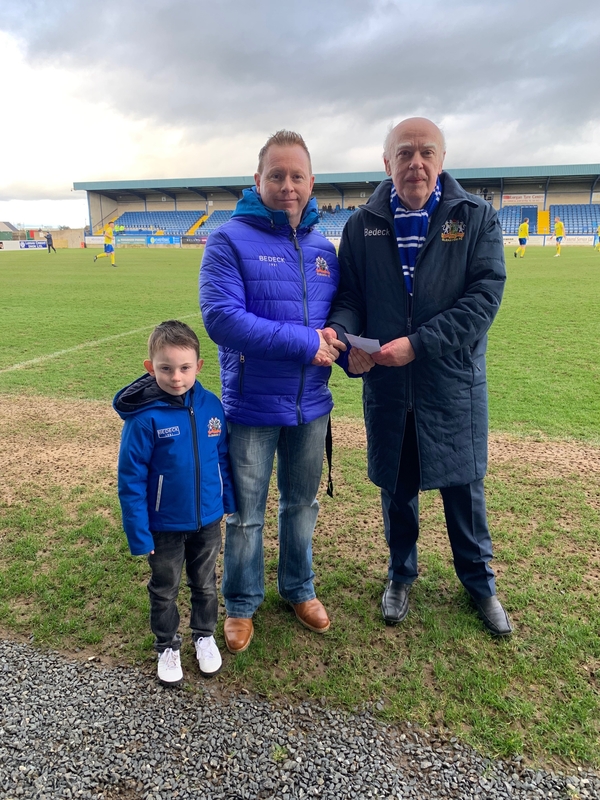 Match Sponsor Stephen Moutray (R) with Glenavon Director George McNally and Terry McWilliams (L). 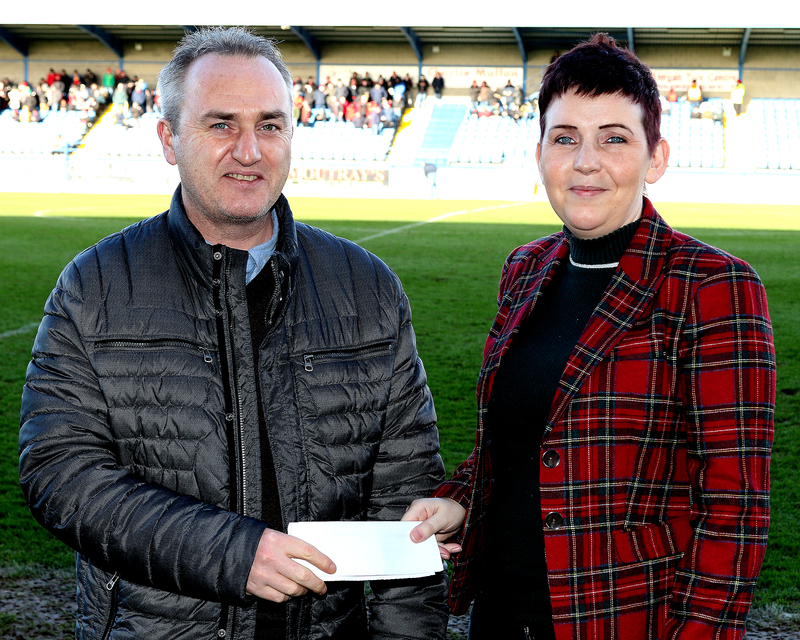 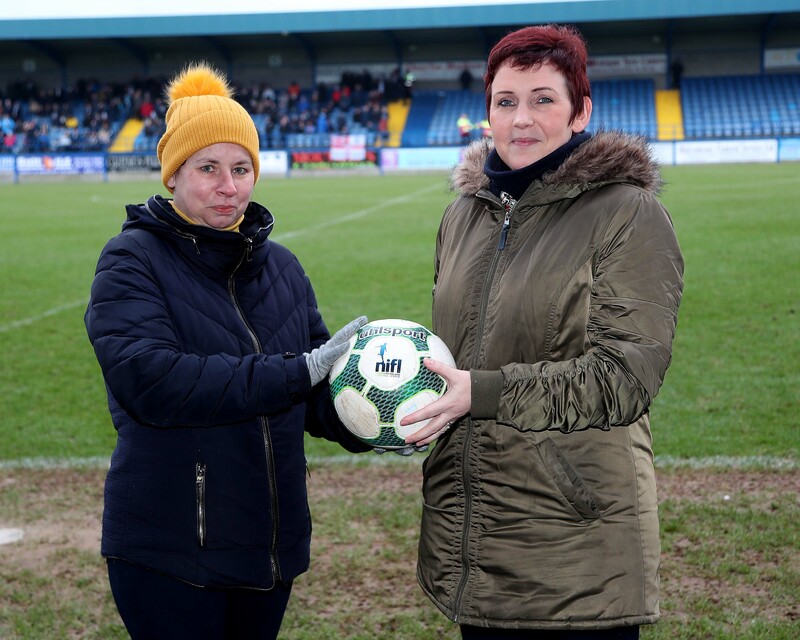 Ball Sponsor Tommy Anderson with Glenavon Director Leigh McClune. 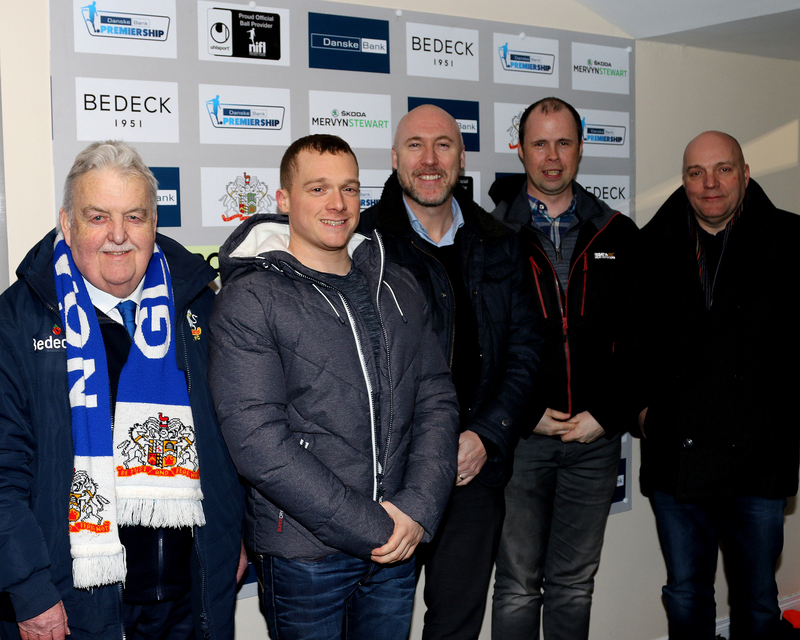 Also pictured are Tommy’s son Mark and grandson Craig.